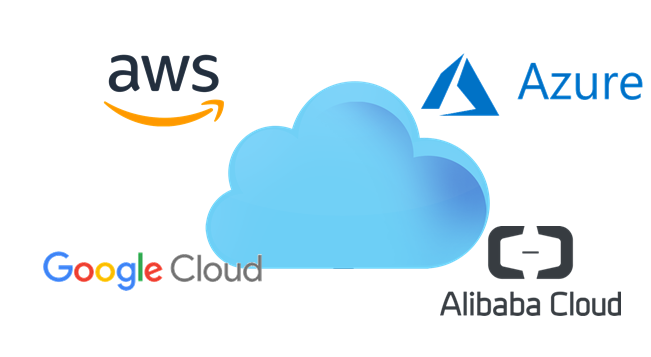 And yes, you read it correctly, Alibaba Cloud belongs to the same group as the Chinese e-commerce, retail, and technology website; and their platform is growing incredibly fast: 92% growth year-over-year in IaaS, PaaS and SaaS platforms. 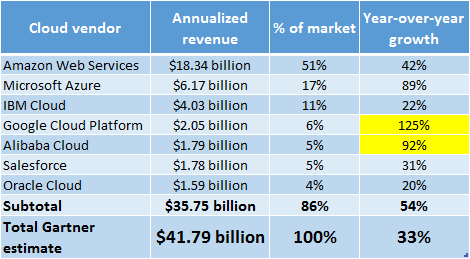 The other surprising (or maybe not so much) fact is that 86% of the cloud revenue belongs to the seven largest cloud providers available: AWS, Azure, IBM Cloud, Google Cloud, Alibaba Cloud, Salesforce and Oracle Cloud. This Jefferies study based the information from recent Gartner analysis and the quarterly reports presented by the companies in late 2017. The analysis added: “We believe that the majority of the IaaS/PaaS revenues presented in our table represent ‘true’ public cloud deployments, which include both multi-tenant and dedicated single instances of IT resources provided by the cloud vendor”. 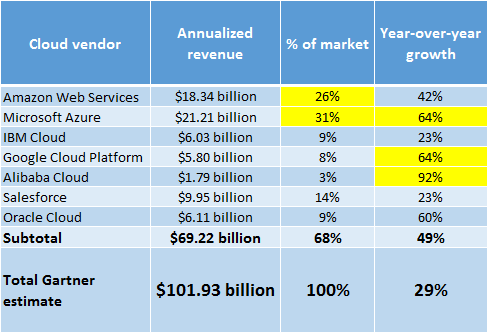 If we are considering the full cloud IaaS, PaaS and SaaS model, the numbers will be slightly different. Being Microsoft the largest provider in the market, and the answer is simple: Office 365. The Microsoft complete suite goes beyond the Office apps, Exchange Online or even SharePoint; their features and products for collaboration, Big Data, BI, mobility, security, etc. enhanced significantly their portfolio. We have to remember also that the Redmond companies did a sort of “re-branding” for the Office 365 naming; calling now Microsoft 365 to refer to a whole new platform which includes Office 365, Windows 10 and Enterprise Mobility.